Ocean Dreaming II is purpose built for whale watching - very fast, modern and comfortable with Active ride control to smooth out the bumps at sea and plenty of whale watching deck space. 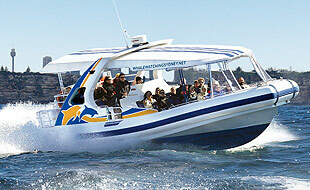 Visit Whale Watching Sydney for more details and bookings. This is the fastest, most exciting whale watching adventure on the east coast! Built to the same design as offshore rescue vessels, Totally Wild gets you there faster than ever before with only small group sizes to view the whales. 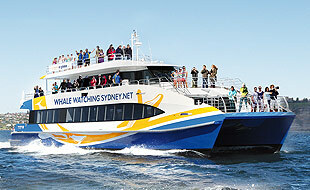 Visit Whale Watching Sydney for more details and bookings.